If you are of a certain age, like me, you will remember when a business accountant was more than a bookkeeper, auditor, or tax preparer. They were the business owner’s most trusted adviser, they monitored your current cash and expenditure whilst also forecasting your potential cashflow, because they were in such a key advisory position you would consult your accountant before making significant purchases. Their advice was sought before pursuing key strategies. They were a valuable conduit to bankers, suppliers, and customers. An accountant was like a doctor. The business owners would make an appointment for a check-up. They would discuss much more than the numbers. They would review the overall health of the business and discuss ideas for lowering costs, increasing revenues, and multiplying their client’s success. When needed, they would assist with a host of management advisory services that filled identified gaps. Who better to serve the role of most trusted adviser? in addition to their systems orientation, and their ability to run the numbers, accountants had perspective. Over their career, the accountant served hundreds of businesses. They were witness to outrageous successes… and unnecessary failures. They gained a sixth-sense for what worked and what did not. They shared their insights and concerns. The business owner viewed their accountant’s coaching as the key to their making the leap to greater success. No wonder that many accountant-client relationships turned into friendships that lasted a lifetime. The outcome can be really rewarding for both parties. In fact, many accountants willingly take on not for profit bookkeeping as a means to serve those looking to make a difference in society. Times changed. I am not sure exactly when, maybe the turning point was in the late 80’s or early 90’s, but there was a gradual evolution away from treating an accountant as a most trusted adviser. They became regarded more like a vendor serving commodity services. Now, add in the prevalence of inexpensive and highly functional accounting software, payroll and tax preparation services, merging accounting firms, and globalization. Most business owners do not even have a trusted client-accountant relationship, but if you’d like a relationship with your accountant like I have discribed above then have a look at this site as these may be the right accountants for you. The accounting profession recognizes the need to shift back. 80% of CPA’s think their role will change significantly in the future—the CPA of the Future will offer more consultative business development, risk management, and advisory services by 2025. More consultative services to help a business grow and manage risk are on the horizon. The changing role of the CPA requires professionals to be more intimate with clients and the shifting marketplace, more aware of globalization, better understand digital tools, and develop insights into business processes that create value. This is all part of the future readiness required for the profession. As the CPA of the Future becomes more agile, nimble, and predictive—using data and technology to deliver insight and empowering services—the value of the CPA will increase. Increasing the Virtual CPA and even CFO services will enable organizations to leverage the skills of the CPA in the future. This is very good news. A shift back to most trusted adviser status will benefit clients and accountants alike. It will add a new level of professionalism to the business coaching industry. It will make everyone work harder to drive real value that achieves measurable results. As a CPA, serial entrepreneur, and business adviser I know that the opportunity is ripe for the accountant’s return to their role as most trusted adviser. Most businesses are in desperate need of operational improvement. You know it too. How many of your clients are stressed, work 24-7, have nagging quality issues, a debilitating flow of customer complaints, and frustrating employee problems? How many are stuck on a sales plateau? They may be spending enormous amounts of money on marketing but still can’t grow. They are losing as many dissatisfied customers out of the back door as they are gaining new customers in the front door. Wouldn’t it make better sense to help these companies improve their operational processes so that they can accommodate all of their customers with consistent, high-quality products and services? It is an easy way to help them break through to their next level of success. It is not all about inefficient operational processes. People are also an issue. How many of your clients are held hostage by employees who hoard knowledge and use it as a weapon to secure their position? How many owners are worried that their business does not have a succession plan or exit strategy? That is where you come in. By adding in qualitative services related to leadership, team-management, and strategy, you will help your clients find new value in the numbers that drive results. ManageHub automates a company’s management processes, like accounting software automates its bookkeeping processes. It is the perfect complement to your accounting services. Use it to help your clients build more sustainable, scalable, and salable businesses. Use it to help them manage their people, processes, and strategies. Focus on process documentation to improve quality, and eliminate knowledge-silos, bottlenecks, and waste. (1) Engage your client’s employees in an ongoing continuous-improvement cycle that identifies and resolves problems, and leverages their ideas for innovation. (2) Monitor the implementation of your client’s strategic plans to help ensure that their established milestones are met. (3) Strengthen the organization’s ability to weather an unexpected event, like the loss of a key employee, or an economic downturn. (4) Prepare the business for succession, franchise, expansion, merger or sale. 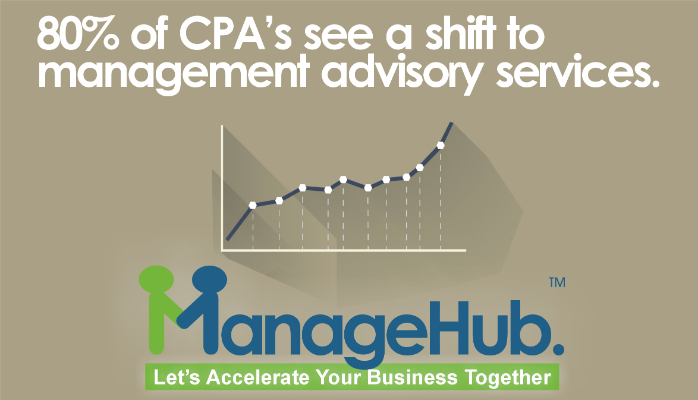 ManageHub provides you with an easy and systematic approach to enhance your management advisory service offerings. It is a turnkey solution that includes the ManageHub Software, ManageHub Accelerator Training, and coaching-support, delivered by you. The ManageHub training curriculum covers topics including leadership development, team-building, strategic planning, process documentation, employee engagement, and continuous improvement. 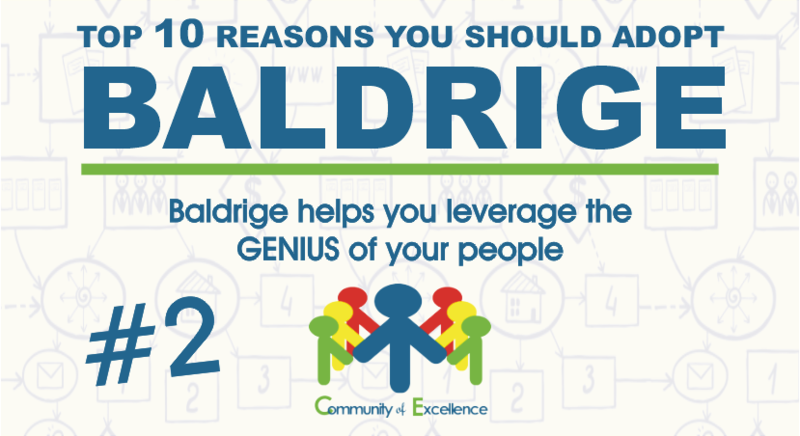 The curriculum is based upon the Baldrige Performance Excellence Program which is the U.S. standard of management excellence. ManageHub Software and Accelerator training is adopted by the Alliance for Performance Excellence, specifically to help smaller organizations adopt essential quality management practices. Who better to help the business owner adopt excellence than you? Times are changing. The accounting profession is returning to its roots. It is all about building relationships. Accountants are reasserting their position as the business owner’s most trusted adviser. It will take time to rebuild and retool. Now is the time to act. Please contact me to learn how ManageHub can help your firm offer a systematic, turnkey, and highly beneficial Management Advisory Service to your clients.